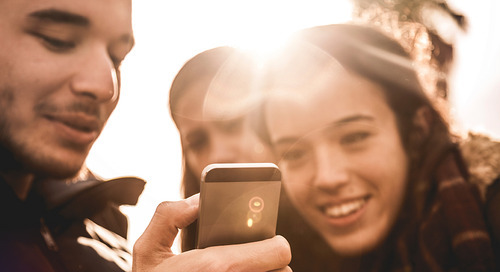 More than nine million Canadians have iPhones. That is more than 25 per cent of the country’s population. 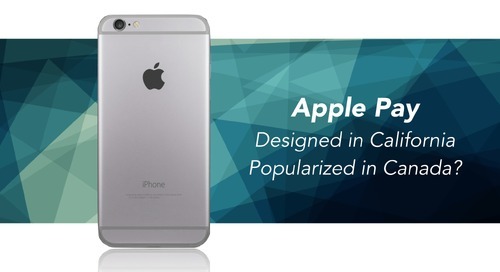 This is great news for Apple. 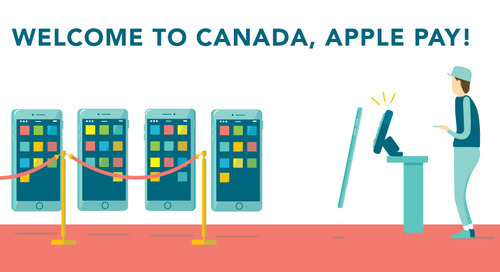 And with Apple expanding in Canada, this is also great news for Canadian retailers. It will give customers a simple, seamless way to make contactless payments, moving customers through the checkout faster than ever before. to leave their homes without their phones than their wallets. But before retailers get too excited about the promise of another payment method, it is important to understand how Apple Pay works. Never heard of Apple Pay? Start with an overview here. When you are ready to learn more, here are the eight things that you need to know today to get ready. Apple Pay is a mobile payment service that allows customers with select Apple devices (currently iPhone 6, iPad Air 2, iPad Mini, Apple Watch) to make an in-store purchase by tapping their phone, tablet or watch on a payment terminal’s contactless sensor. Customers have to go through a basic setup process on their device to connect their credit or debit card to the Wallet app. Once this is set up, customers can use the payment technology at any retailer that accepts contactless payments. 2. I’m a retailer. How do I accept Apple Pay? Apple Pay does not require Apple-specific payment terminals, so most businesses in Canada already have the technology to accept contactless payments. If you have a Moneris terminal that can accept contactless payments, and you use the technology today, there’s nothing you need to do — you’re Apple Pay ready. If you have a terminal that can accept contactless but don’t use the feature, you can simply call your payment processor to have it turned on. There’s no additional cost to turn on the contactless capabilities of a payment terminal. 3. Which banks support Apple Pay? 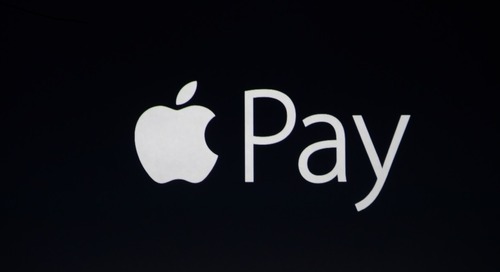 Apple Pay launched in Canada in 2015 and was available exclusively to American Express cardholders. On May 10, 2016, Apple Pay expanded to include the Royal Bank of Canada and the Canadian Imperial Bank of Commerce. On June 1, 2016, Bank of Montreal, TD Banks and Scotiabank were added to that list. In the U.S., more than 400 banks support Apple Pay, including all of the major players and many local banks and credit unions. 4. 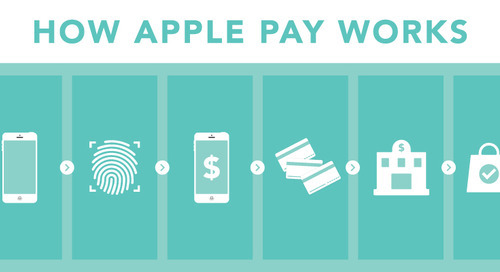 Will there be an additional cost to use Apple Pay? 5. What do customers think? According to a recent survey from 451 Research, Apple Pay users in America are more satisfied with the service than any other mobile payment method — and are using it more often. 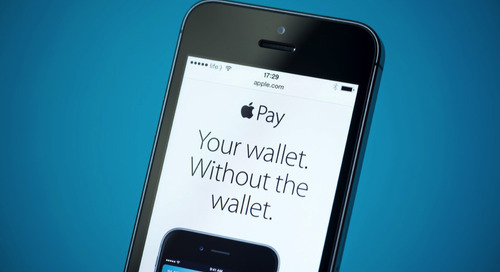 Sixty-six per cent of Apple Pay users said that they were “Very Satisfied”. And 34 per cent of all iPhone users in the U.S. have used Apple Pay since its launch. Although that is not yet the majority of iPhone users, it is impressive adoption for a new payment method. Yes. In fact, it includes more safety measures compared to other forms of payments. The additional level of security of Touch ID requires the customer's fingerprint to authenticate any payment. This means that even if an iPhone is lost or stolen, no payments can be made without the owner’s fingerprint, which is harder to replicate than a signature. And in the case of theft, Apple Pay can be suspended remotely using Find My iPhone, an application that helps users protect their personal information. 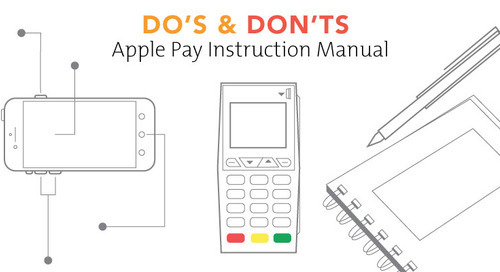 Apple devices handle credit-card information with care. Every customer’s payment information is encrypted before it is sent to Apple servers. This means that no banking information is stored on the device or used to initiate a transaction. 7. How does it work with Rewards Programs? In June 2015, Apple announced the ability to integrate rewards cards within the Apple Pay experience. However, the exact details of what is required for the typical retailer are unknown. The functionality was announced for several large national chains in the U.S., but none of the stores have officially launched or integrated a rewards program to date. 8. 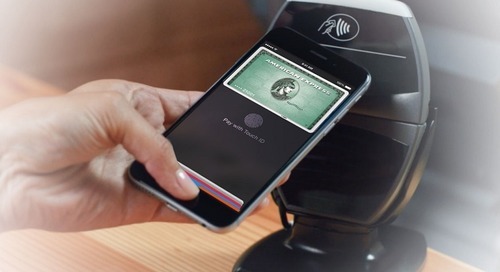 How Can Businesses Benefit from Apple Pay? The simple answer is a better customer experience. 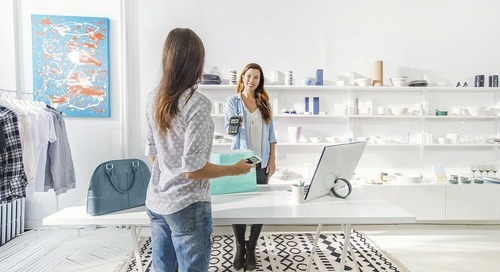 Giving customers the option to pay in whatever way they prefer lets them know that a business puts their priorities first. And contactless payments lead to faster transactions which in turn lead to shorter line-ups. At Moneris, we believe in the importance of delivering efficient, effective and exceptional service to retail customers. Apple Pay is yet another step forward in delivering that experience that ensures our merchants are payment ready. Apple, Apple Pay, Apple Watch, iPad Air, iPad Mini, iPhone, Wallet and Touch ID are registered trade-marks of Apple Inc. Moneris is a registered trade-mark of Moneris Solutions Corporation. All other marks or registered trade-marks are the property of their respective owners.